Defining an on-demand rental – a spare room on Airbnb – for tax purposes can be difficult – potentially involving rules for small business, vacation homes, and passive activity losses. The changing definition of work is often referred to as the gig economy, the sharing economy, and the on-demand economy. For taxpayers and tax professionals, it isn’t always easy to apply traditional tax law to less clear-cut scenarios that arise in the new economy. In Part 2 of this series, we’ll explore the gray areas that sharing-economy landlords and their advisors are navigating. No information in this series should be construed as tax advice. Nothing is certain until the IRS issues definitive guidance. A homeowner decides to list her spare bedroom on a sharing-economy rental site to lease the space to tourists. She invests in a mini-fridge and single-serve coffee machine for the room. She manages the bookings, helps each guest get settled, and cleans the space herself after each guest. At the end of January, the site sends her a Form 1099-K showing $20,000 in income. How should she file her taxes? Is she a small-business owner? A vacation-home landlord? What expenses can she claim? The answers aren’t easy. This situation is increasingly common for homeowners who rent out their property, especially on a casual basis in the sharing economy. Using services like Airbnb, homeowners can easily enter into short-term rental agreements for a room in their home or for their entire home, hosting dozens of guests a year. In addition to local laws and ordinances on short-term rentals, sharing-economy hosts face a complex set of income tax rules. Even the most conscientious filers and tax professionals can be challenged to correctly apply existing tax laws, compared with conventional rentals. Taxpayers and their advisors must delve deeply into IRS forms, instructions, and publications that can leave key questions unanswered. Here, we’ll look at how the sharing economy stretches traditional tax rules for rentals, and examine how sharing-economy hosts and their tax advisors should navigate this emerging area to comply with their tax obligations. First, it helps to examine how existing rules work for conventional rentals. That may include landlords who typically rent their properties for longer periods of time, or it could include vacation homeowners who may rent and use their properties. The Internal Revenue Code includes a web of rules that limit deductible losses for homeowners and investors who rent out residential property. Expenses such as taxes, repairs, maintenance, supplies, vehicle mileage, and depreciation can easily exceed rental income. Without loss-limitation rules, property owners could use residential rental property expenses to offset not only their rental income but also wage, self-employment, and portfolio income. In addition, because rental expenses aren’t always reported to the IRS through third-party information statements, loss-limitation rules rein in unscrupulous taxpayers who inflate their costs to shelter income. Here are some specific rules to know. Personal use: If owners use their home too much for personal reasons – that is, more than the greater of 14 days or 10 percent of arms’ length rental days per year — they can deduct rental expenses only up to their rental income. However, they can often claim any nondeductible mortgage interest and real estate taxes as itemized deductions. Apportioning expenses: Homeowners must apportion their expenses between personal and business use before deducting them from rental income. The silver lining: Rental income is tax-free if homeowners limit rentals of their residence to 14 days or less per year. IRC Section 469, the passive-activity loss limitation (PAL) rules, prevent many taxpayers from using rental losses to offset portfolio, wage, and self-employment income. If a taxpayer’s modified adjusted gross income is less than $150,000, the taxpayer can claim rental losses up to $25,000 per year, if the IRS considers the taxpayer to be an active participant in the activity. These dollar amounts are cut in half for married individuals filing separate returns if the couple lived apart. The at-risk rules limit losses in an activity to the investment amount considered at-risk. For a residential rental, the at-risk rules primarily affect homeowners carrying a nonrecourse mortgage and tenants who sublet their home. The advent of the sharing economy presents challenges to administering these traditional rules. Here’s where complications often arise. Is the activity a rental or a small business? Taxpayers and tax advisors commonly have questions about whether a host’s activity is a business that belongs on Schedule C or a rental activity properly reported on Schedule E.
In a traditional rental, the property owner – either personally or using an agent – only occasionally conducts activities such as cleaning, maintenance, collecting rent, paying bills, and booking tenants. In contrast, an active sharing-economy host is likely involved in the enterprise almost daily, answering prospective occupants’ questions, cleaning the home between occupants, and meeting occupants to hand over keys and orient them to the property and the neighborhood. The IRS takes the position that all rental activities belong on Schedule E, no matter how time-consuming. The only exception is if the taxpayer provides “significant services … such as maid service.” The Schedule E instructions don’t define maid service or give other examples, so Airbnb hosts can’t be sure whether the services they provide when transitioning guests in and out of the property are significant. If the services are significant, the rental activity belongs on Schedule C. The IRS then considers the taxpayer self-employed. Any net income is likely subject to self-employment tax, and any net loss (unless it’s considered passive) will reduce any other income the taxpayer has. On the face of things, sharing-economy hosts have a lot in common with vacation homeowners. Both accept short-term rentals and typically don’t need or expect to rent out their property 365 days a year. But the IRS has given inconsistent guidance about whether renting a room or home in the sharing economy is the same as renting a vacation home, when it comes to taxes. Hotels, motels, inns, and similar establishments are not considered dwelling units. An example in the publication explains that a room-rental arrangement is considered a hotel, motel, inn, or similar establishment – and not a dwelling unit – if the room is regularly available for customers and the host has no personal use of the room at any time, including when the room is not currently rented. This example doesn’t clarify situations in which sharing-economy hosts rent out a spare room or less-defined space in any other circumstance, such as when there’s an en-suite bathroom and minimal cooking facilities in the room, or if the host has some personal use of the space. Those willing to wade into proposed regulations and private letter rulings in search of an answer will find that, in those materials, the IRS takes a different position, looking at the property as a whole to decide whether a room rental involves a dwelling unit. If a room or space in a host’s home isn’t considered a dwelling for vacation-home rules, the host wouldn’t be affected by loss-limitation rules. But, the host also can’t take advantage of the 14-days-or-less rental income exclusion. Is it a rental for the purposes of passive activity losses? Leasing for seven days or less: The IRS doesn’t consider leasing for such short periods of time a rental for PAL purposes. Providing significant services: If a homeowner provides significant personal services with the rental, it’s not considered a rental for PAL purposes, if the average lease length is 30 days or less. This rule is similar to the rule placing certain rentals on Schedule C instead of Schedule E.
Note that in either of these situations, if the taxpayer doesn’t materially participate in the activity, the taxpayer can’t take advantage of the PAL active-participation loss allowance since the activity isn’t considered a rental for PAL purposes. It will be considered a passive trade or business. Vacation home rental: If a taxpayer’s rental expenses are limited by the vacation home rules, the IRS considers the rental activity non-passive. Real estate professional: This rule applies to taxpayers who spend more than half of their working hours materially participating in real estate businesses, and those hours total more than 750 hours for the year. If these taxpayers materially participate in a rental, the IRS considers their rental activities non-passive. 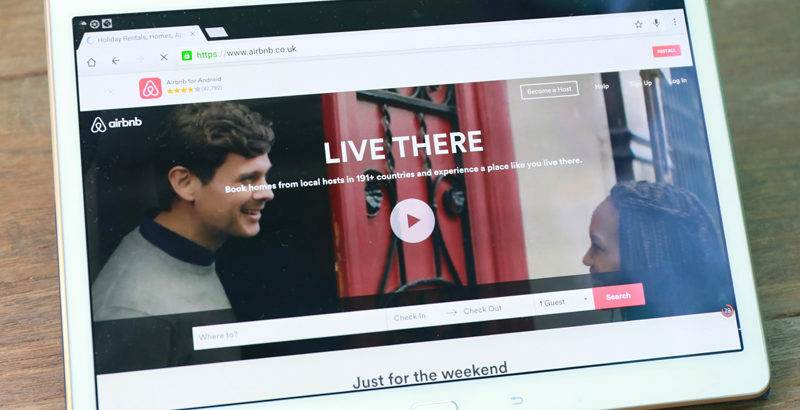 As laws adapt to disruptive changes in the nature of rental activity, hosts on sharing economy sites like Airbnb need to keep thorough records, and pay close attention to the frequency and duration of their hosting activities and services. Doing so will help them properly report rental activity and avoid taking questionable positions on their return. 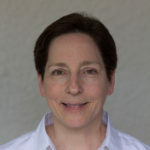 Brenda Hochberg, JD, is a principal business analyst with H&R Block. Brenda has been working on H&R Block’s consumer tax products for 23 years, translating federal and state personal income tax laws into a step-by-step interview.